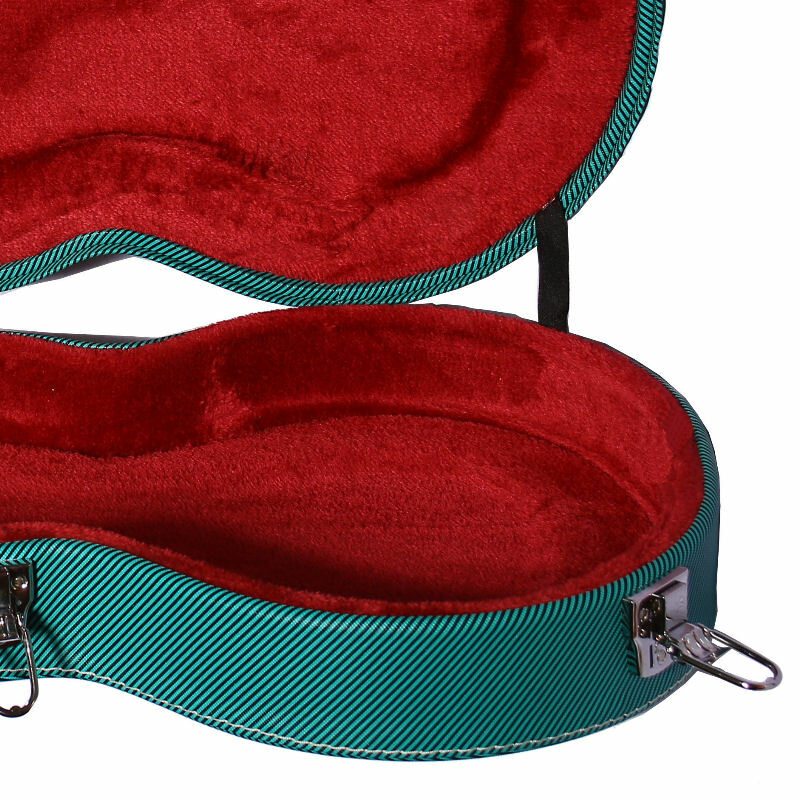 Category: Guitar Casess. Tags: acoustic, ata, bad horse, cables, case, city, diy, dmx, effect, eno, fishbone, guitar, horse, joyo, klon, led, moen, mooer, nux, omikron, parts, pedals, swift, tone, wilkinson, xlr. 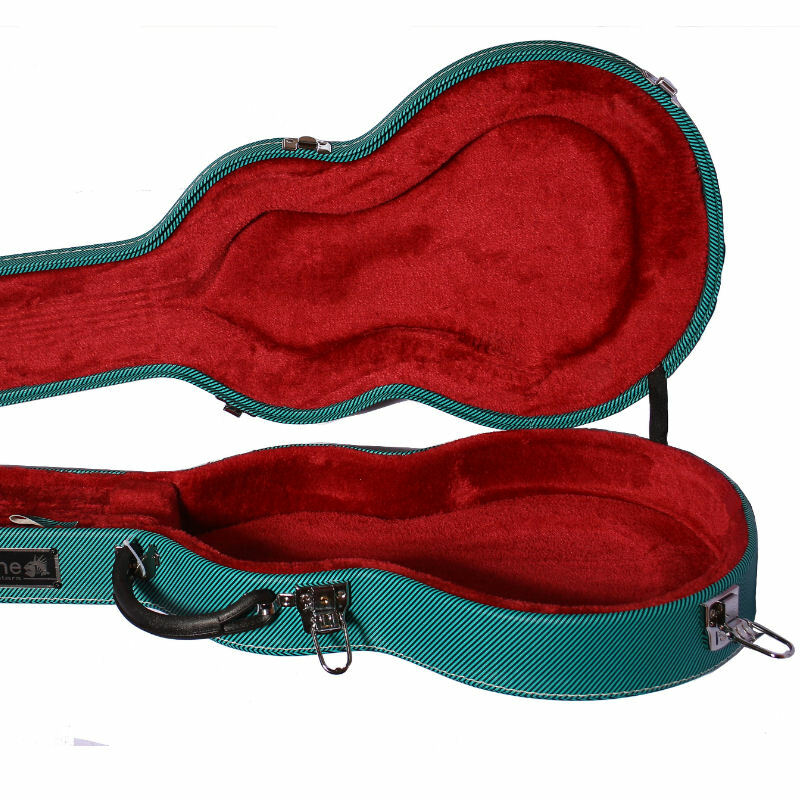 Blue TWEED electric guitar carry case suitable for most styles of Les Pauls, Epiphones, etc Blue TWEED covered wooden electric guitar case suitable for Fishbone, Epiphone, Tokai Les Paul J.R body and many other shapes. More Details: This is a highly versatile item – the neck supports permit use with straight and angled headstock guitars. Electric Guitar Case for Les Paul J.R / Std / Custom etc. 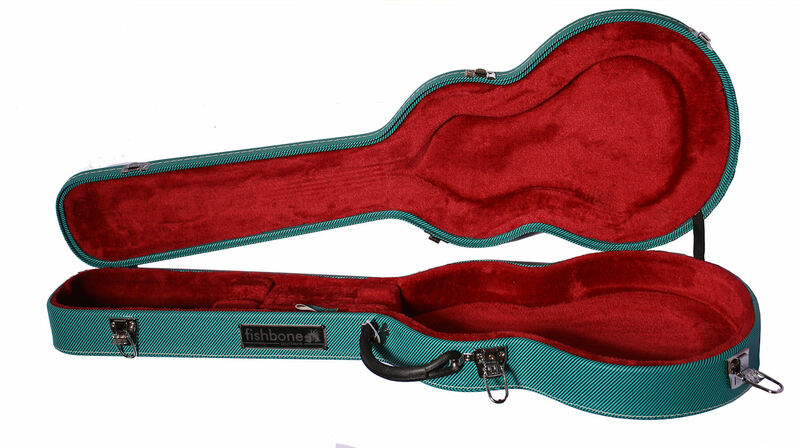 • Tough exterior • Plush lining • Locking latches * rugged carry case suitable for most LES PAUL style of electric guitars:Fishbone,Gibson,Epiphone, some PRS and many other Les Paul body shapes. How does Music Express Canada sell high quality musical instruments at such low prices? Following years of research, development and evaluation MEC has teamed up directly with the very best manufacturers from around the globe and commissioned a range of music products that we are proud to bear the, MEC,Fishbone,Omikron Amplification,Rock Bullets, name. They are shipped directly from professional manufacturing workshops to our distribution center for final checks before being delivered to you, cutting out the middleman , lowering transport costs, and providing the best possible value for the money. Today, you’ll find drum kits, acoustic and electric guitars, woodwind, brass and string instruments for sale, all at incredibly low prices. But the impressive-looking prices aren’t the end of the story; not only are our instruments made to the highly playable standards that you d expect on more expensive products, but they are produced ethically and responsibly to meet the expectations of a caring world.